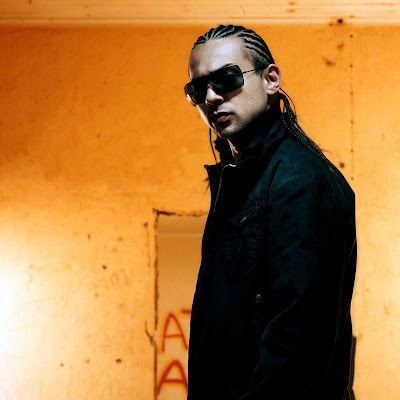 (CBS/AP) In 2006 Sean Paul's "Temperature" was hot, rising to the top of the Billboard charts. But the pop song had a much more chilling effect on 25-year-old Stacey Gayle. Gayle, a customer service employee at a bank in Alberta, Canada, was suffering as many as 10 grand mal seizures a day, despite being treated with medications designed to control them. The condition became so bad she eventually had to quit her job and leave the church choir where she sang. Appearing on CBS' The Early Show, Gayle told co-anchor Harry Smith that she was 21 when she first started having seizures, but it was in the summer of 2006 when she began to suspect a possible trigger. She recalled, 18 months ago, being at a barbecue and collapsing when the Jamaican rapper Sean Paul's music started playing, and then remembered having a previous seizure when she had heard his music. "I would get that aura before that song would come on," she said. Music wasn't the only trigger, but it was an important one. "I was just having seizures, just found it was triggered by music," she said. It was Sean Paul first, and then others. At first, doctors didn't believe a rap song could induce an attack, so Gayle proved it. At the Comprehensive Epilepsy Center at Long Island Jewish Medical Center, Stacy had a video EEG - a medical test measuring electrical activity produced by the brain. The video showed Stacey Gayle having three seizures shortly after listening to the Sean Paul song on her iPod. "Sometimes it's very challenging to find that abnormal area of the brain that may be causing someone's epilepsy," Dr. Ashesh Mehta, the hospital's director of epilepsy surgery, told Smith. "Given that she had such a specific trigger, we were able to play the music and do a PET scan. That gave us an idea of where the seizures may be coming from. "Ultimately we have to implant electrodes to find the area, [and then] we played the music." Doctors determined the cause of Gayle's seizures was an extremely rare condition called musicogenic epilepsy, in which seizures are actually induced by music. According to the hospital, there are only five such cases known worldwide. During the first surgery, doctors implanted more than 100 electrodes in the right side of her brain to pinpoint the abnormal area of her brain. The surgeons followed that procedure with a second surgery to remove the electrodes, along with parts of her brain suspected of causing the seizures. "Did you really think this is one of those 'Eureka!' moments?" Smith asked. "Absolutely," Mehta said. "It's fairly common in a lot of people who have epilepsy. That area happened to be triggered by the music, and we took it out, and she's done wonderfully. Gayle reports that she is now seizure-free after three and a half months. "I want to show others that life does not end at epilepsy," she said. © MVIII, CBS Interactive Inc. All Rights Reserved. This material may not be published, broadcast, rewritten, or redistributed. The Associated Press contributed to this report.